It's hard to find places in London that make you feel like you're somewhere else entirely. Lamezia on Holloway Road does just that, whisking us away from north London and transporting us to a more temperate evening, somewhere in southern Italy. The word 'authentic' is thrown about with far too much abandon when it comes to restaurants dealing in foreign cuisine — but Lamezia earns that designation, because it doesn't try to. Our time in Lamezia is soundtracked by Italian pop music and a large table of punters next to us speaking in their mother tongue. None of that matters if the food doesn't live up to the atmosphere though. We kick things off with some olives to share and a delicious bruschetta. A delightful amount of chopped tomatoes sit atop the toasted bread — and they go together perfectly. It's dishes like this that make us wonder why there are any other toppings for toast — everyone should just eat bruschetta for life. 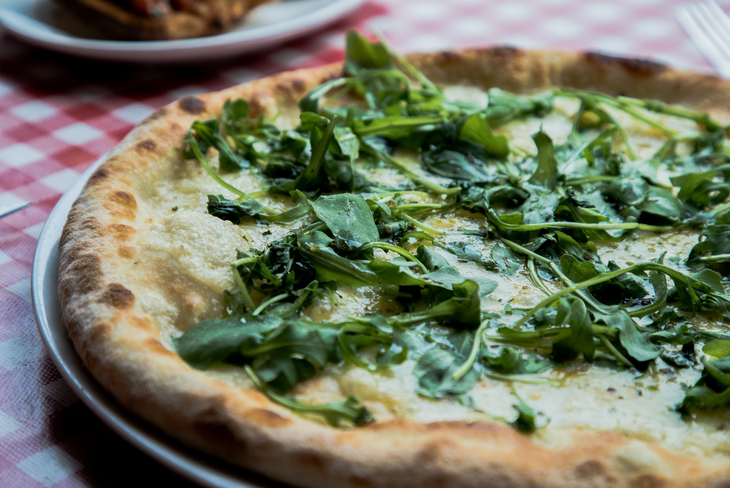 For main, we opt for two Italian stalwarts: pasta and pizza. The pizza is a parmigiana: essentially a margherita with aubergine and parmesan. We quickly discover this isn't a pizza to be eaten with hands, as things degenerate into a mess, and we succumb to a fork and knife. But what beautiful succumbing this is — nearly everywhere in London has an aubergine dish, which means one can forget (due to repetition) the vegetable's inherent flavour, but this pizza brings it to the forefront. On the pasta front we opt for ravioli aragosta e gamberi (lobster and crab). The portion looks small at first but when we tuck in, we realise it's plenty, because each piece of ravioli is stuffed with so much delicious seafood. The thing that detracts from the enjoyment of the evening is the length of time we spent waiting for the food. However, once it arrives, all is forgiven (especially as our waitress is so lovely). It seems that the dishes only took so long to arrive thanks to all the care being put into their crafting behind the scenes. After cleaning off our plates, we just about find room for dessert, going for a Sicilian classic cannolo, and another Italian favourite, tiramisu. While the tiramisu is scrumptious it's the cannolo that's the star — the hit of flavour transports our tastebuds back to some time we spent in Sicily a few years ago. The creamy ricotta filling is so smooth, while the outside shell is equally crunchy — the perfect meeting of yin and yang. Over the course of the evening we tumble our way through a bottle of Nero D'Avola — Sicilian, of course. It's a bittersweet moment when we leave and find ourselves spat out onto a dreary November night on Holloway Road. We can't wait till the next time we escape into Lamezia. 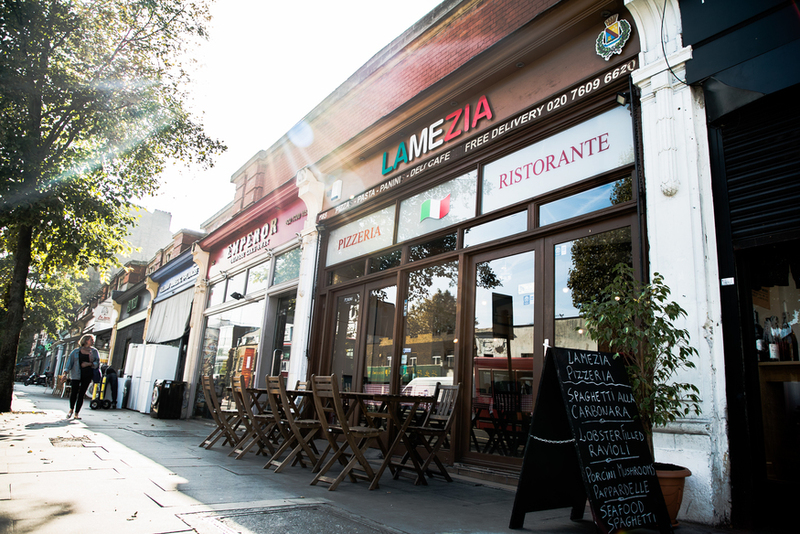 Lamezia, 165 Holloway Road, N7 8LX.